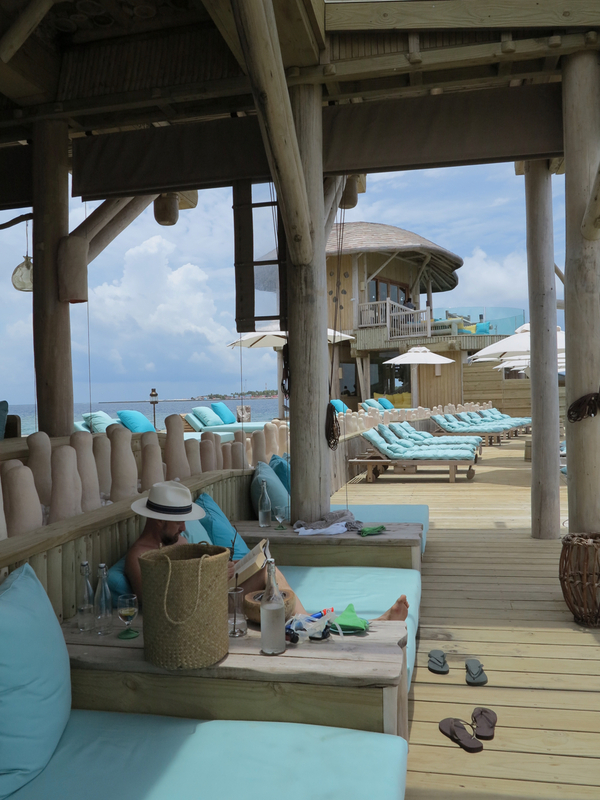 Recently, Michael and I spent a week in the Maldives, at a place that is so more than just a luxury resort or hotel. Soneva Fushi in the Baa Atoll in the Maldives, is best described as bare foot luxury. But even this description doesn’t do it justice. We flew from Sydney to Singapore, with a couple of hours stop-over then onto Male. We arrived late into Male, and spent one night in the city. The next morning is when the experience starts. 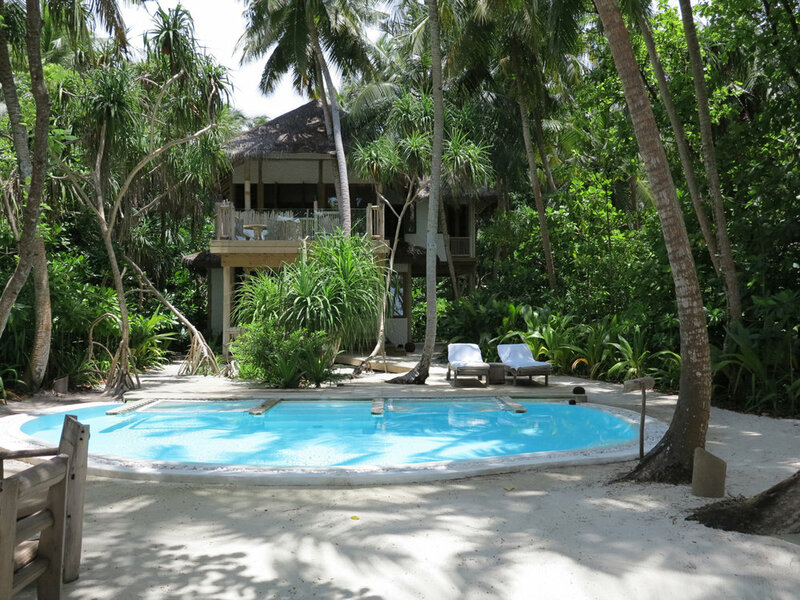 We are met at the hotel by a Soneva Fushi team member, and taken to the Soneva Lounge at the airport. A short 45mins sea plane ride away, and we land near a sandbank with a floating jetty with more smiling Soneva team faces. We jump onto a boat, and the relaxation starts here - our butler for the week gives us a calico bag with the slogan “No news, No shoes”. We oblige, and take off our shoes, never to be worn again until the day we leave. HEAVEN! As we approach the island, all we can see if lush, dense green tropical jungle like a scene from Cast Away. More smiling faces greet us as we step onto the jetty and into the resort. There is a ‘camp’ like feeling as you are dwarfed by towering trees while perfectly raked sand under foot leads you to the villa. We decide to walk instead of taking the buggy, and are excited to see our very own customised bicycles at the front of our villa, the perfect way to get around the island which is vast. The beautiful luxury 2 bedroom villa, has a pool with hammock hanging over one end, private beach access, outdoor and indoors showers, beautiful high ceilings and amazing natural timber construction. The TV is hidden within a trunk at the end of the bed (very clever) and the kitchenette is well stocked with all the essentials. After a dip in the crystal blue water, we head out on our bikes to explore the island. Cycling around the island is so magical. The paths created through the lush jungle create avenues where the light filters through and you feel like Julia Roberts in Eat, Pray, Love! The dining offerings are experiences in themselves. ‘Out of the Blue’ is the newest addition to the resort, built over the water and featuring a slide which I could have played on for hours. Theres also ‘Fresh in the Garden’ where you dine high above the incredible vegetable gardens. Mihree Mithaa, where the amazing breakfast buffet is served. Sobah’s restaurants - classic Maldivian, and also Japanese counters and Down to Earth by Ravi - where we had an incredible buffet meal with everything you could imagine. Then theres the ICE CREAM ROOM, CHOCOLATE ROOM AND CHEESE ROOM!!!!!!!!!!! Yes, rooms. This is my idea of heaven. Anytime of the day, you can get chocolate, gelato, cheese - anything you like! 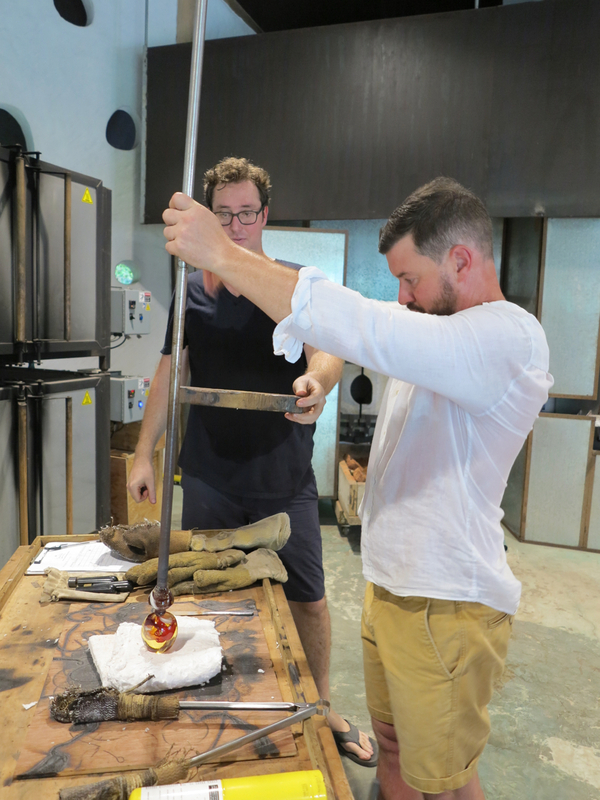 Besides the cycling, tennis court, Water sports area, slides, Picnics, Six Senses spa, Observatory, Diving courses, Snorkelling, Free-diving, outdoor cinema and more….. the Soneva Glass Studio was a highlight. We learnt the art of glass blowing with the skilled team and got to make our own little creations. Besides being a great morning learning the art, this is where the heart of Soneva shows. The ethical sustainability within the resort is remarkable. Soneva strive to create as little waste as possible by using their ‘Waste to Wealth’ area on the island where everything from boxes, to glass bottles, aluminium, food scrapes, styrofoam etc. are recycled in some form or another. Drink cans are crushed and squashed down to much smaller crushed metal bales, and also melted down to create door handles for the resort. The styrofoam boxes are used for insulation for dwellings like the outside of the mushroom hut. Every morning 6-800kg of food waste is brought to the composting area where it is mixed with shredded jungle trimmings. In one month alone, Soneva compost around 20 tonnes of kitchen waste and equal amount of green waste which produces 500 bags of finished compost!! Coconut husks are removed and sent to the kitchen where the white meat makes coconut milk. The fibres are used by local woman to make rope. The coconuts collected from the jungle floor are used to make Cocopeat. And the roofs and fences are made from dried coconut leaves. The responsible waste management, including reduction is honestly mind blowing. And in a country where most of the waste is dumped as landfill near Male, this is a massive step to positive eco management. We spent our days swimming, playing backgammon, sailing the catamaran, reading, eating! and riding through the most magical jungle. There are some holidays which are filled with sun, beaches, crystal water and beautiful surroundings (all of which Soneva Fushi has) but here, the magic lies in the intangible. The soul of the island which comes from smiling eyes of the amazing team, the still moments of listening to the tropical trees whilst sitting among the treetops eating food from the garden below, and watching sunsets on a pristine beach that almost looks too perfect to be real. Soneva Fushi is a once in a lifetime experience. I just hope if I leave my shoes there, I'll have to go back.